Last weekend I joined fifteen other photographers from three New Jersey clubs for two days of shooting around Roundtop Mountain in the Catskills. 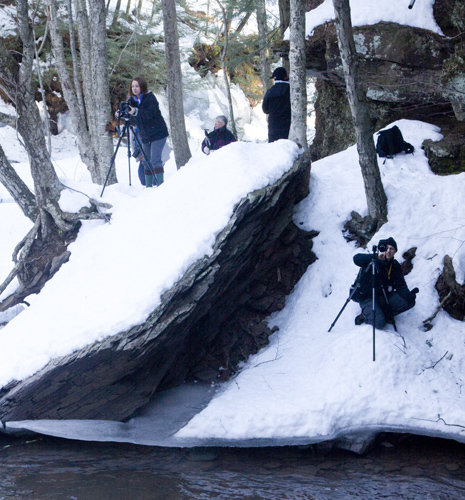 Here’s a view of five of the group risking life and limb on snowy and icy slopes, trying to capture the perfect image. This is the same area we visited last winter and spring, and several of the photographers were repeats from those weekends. The weather was beautiful; we visited several new sites; and we had fun! 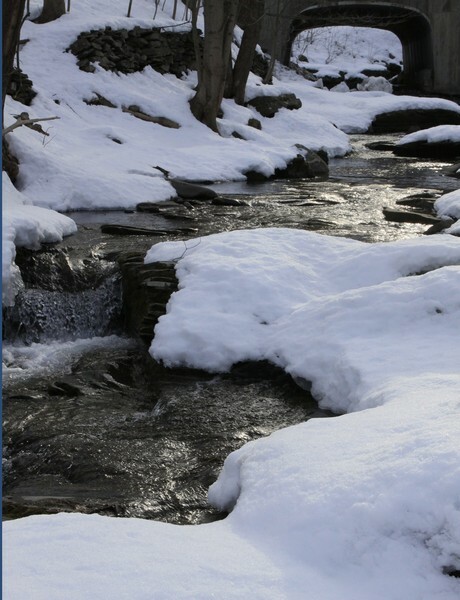 It’s hard not to find beautiful scenes what with running streams, rocks, trees and snow. The scene below was made late in the afternoon and exploited the motion of the water and the splashes of warm light. 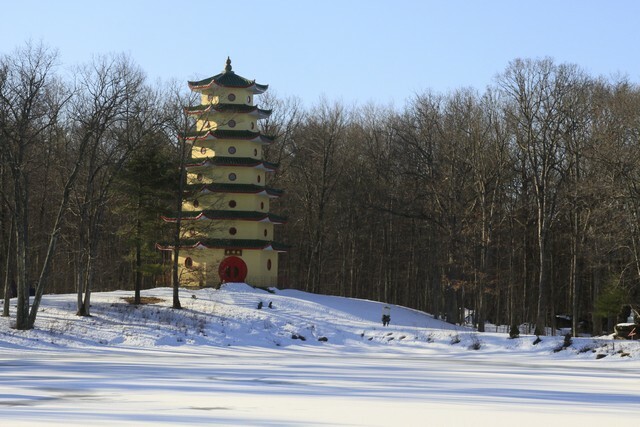 And now for something completely different….a Buddhist retreat with the pagoda, three temples, each complete with recorded chanting, joss sticks, and fresh fruit offerings. Enchanting! 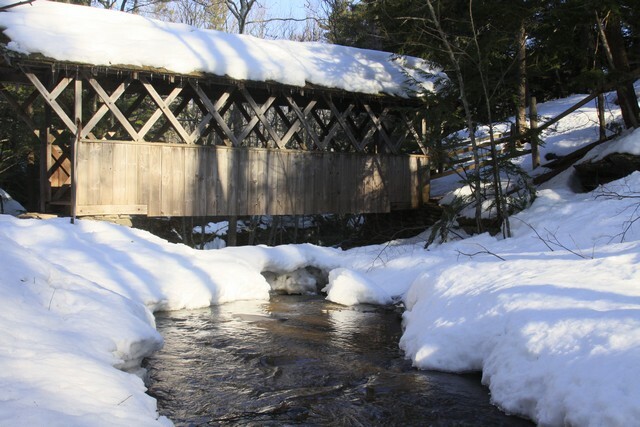 Below we have a covered bridge over the Artists’ Falls, mostly covered with ice and snow. The group picture above was taken on the other, down-falls side of the bridge. Finally, the mountains. Several more images from the weekend can be seen at my gallery. Click here. Brrrrrr, getting cold just looking at these lovely photo’s Ralph. Love the “Covered Bridge”. What a lovely series of images. 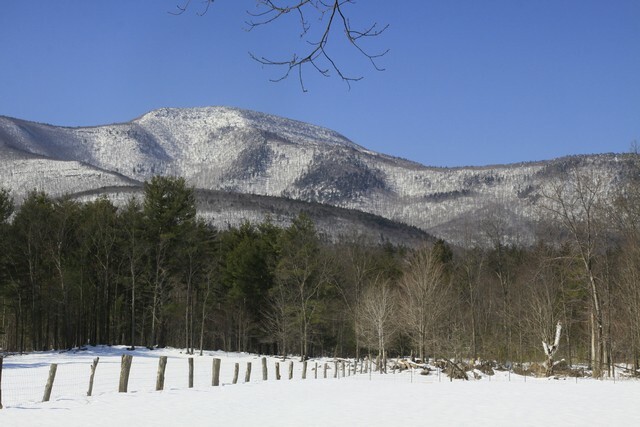 I haven’t been to the Catskills, but they are surprisingly similar (from your photos) to my little home state of Vermont. Thank you for introducing yourself and your work to me. You’ve definitely brought a smile to my day.